The third leg of TWSF’s Restaurant Week tour brings us to Zentan, a DC hotspot serving up ‘global Asian cuisine.’ Zentan is in our hood, we walk past it regularly and are intrigued every time we stop and read the menu. However, the prices ($9 for a California roll) have kept us at bay, but Zentan's condensed Restaurant Week Menu provides the perfect excuse to indulge in this local eatery. 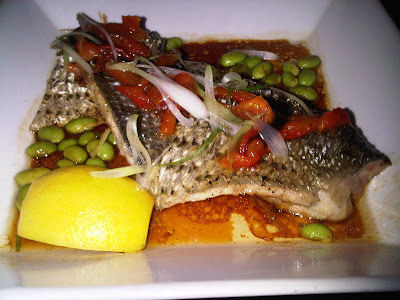 Zentan is owned by Toronto based (Hong Kong born) chef Susur Lee. In this modern day of restauranting we have been conditioned, for better or worse, to believe a chef isn’t any good unless he has been on TV. Mr. Lee definitely has that notch on his resume. He tied Booby Flay in Iron Chef Bacon (mmm bacon) and was runner up on season two of Top Chef: Masters. Being a famous chef is very time consuming so Lee entrusts the daily operations of Zenten to chef Jaime Montes De Oca. Who knows, one day this young chef may be the one cooking in living rooms across the country on Top Chef, but for now lets hope hes ready for his first Elimination Challenge, with special guest judge TWSF. Create a three course meal at a price point of $35 that will make the judges want to come back for seconds, at full price. Megan ordered what proved to be the winning dish of the evening. The calamari was cooked perfectly tender, not rubbery as calamari can so often be. The batter was seasoned to hit all of the right notes and was crisped to a perfect golden brown. In what is always a nice touch, they included the squid's tentacles in addition to the traditional O rings in the generous portion. 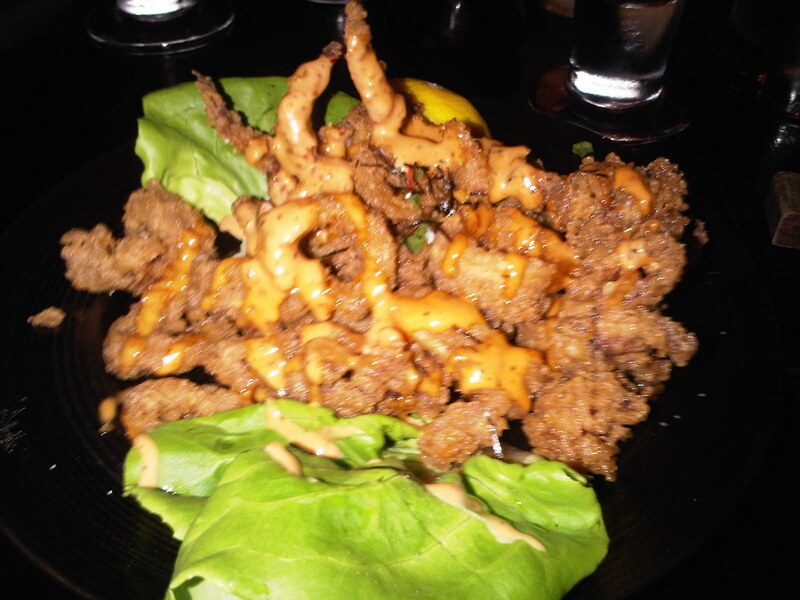 The calamari was topped with a chili smoked mayo which was delicious. My only complaint was that there could have been more of the mayo. 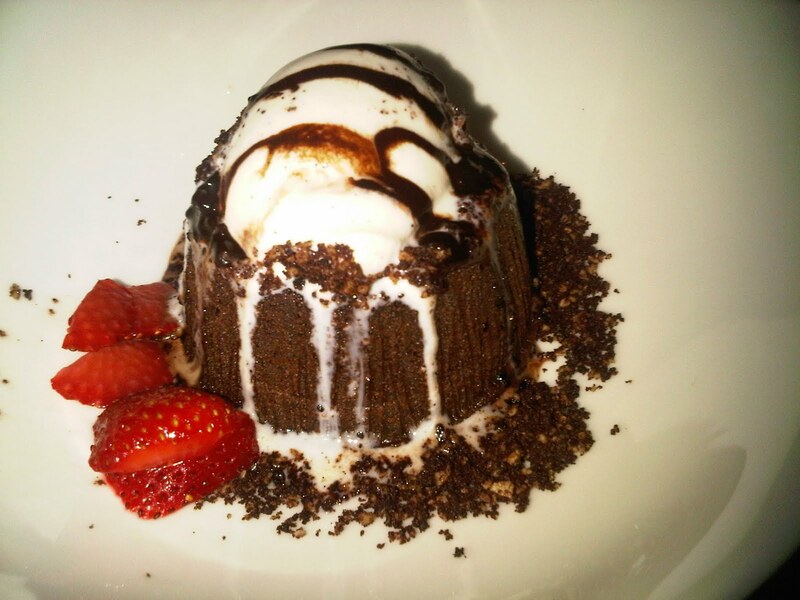 It is a dish that we would surely order again. Turns out escolar is a cheap and readily available fish often marketed by restaurants as 'white tuna' or 'butter fish.' Escolar is unique in the fact that it lacks the ability to metabolize the wax esters (a chemical compound) naturally found in its diet. The wax esters produce a rich, oily and buttery flesh in the fish. They also produce a gastrointestinal distress in humans called 'steatorrhea' which may present itself anywhere from 30 minutes to 36 hours post consumption. I'll let you google the unpleasant details for yourself. Serving what is refereed to as the 'ex-lax fish' topped with jalapenos may not be the best way for Zentan to generate repeat costumers. Escolar, surprisingly, is not on the regular sushi menu. *To date I have avoided unpleasant BMs which is a small miracle considering I had Mcdonalds and several Bud Lights the next day. Megan, of course, has shown no symptoms since girls don't poop. Zentan's understated entrance opens to an elegantly decorated interior reflective of the chic stylings of the Donovan House Hotel which houses the restaurant. It truly lives up to its reputation as an exercise in 'industrial Asian' decor, disappointingly the decorator did not include a representation industrialized Asia's trademark coal burning smoke stacks. Zentan throws off that upscale European vibe that would have made me feel uncomfortable back in college. It is a good place to impress a date. Draughts were $8, specialty drinks around $14..... hope they have a happy hour or something. Neither the menu nor the waitress (see the service review lower on the page) told us what species of fish was in this dish, but Megan decide to order it anyways. Nevertheless the mystery fish was cooked perfectly, achieving a heavenly mix of moistness and flakeyness. The steamed mystery fish was served with chili black bean sauce, green onion, ginger and white rice. This dish seems to be one of the featured items on their regular menu and was better than the other entree we ordered. However, the fillet was broken into three pieces, while those who ordered it around us had intact fillets, also we found 3 bones in the fish. This was disappointing since the dish was so good. I almost sent my entree back when the server set the plate down before me. I thought he had mistakenly brought out another appetizer, but it was indeed my entree, the picture does not do the size of the portion justice. The steak was very good, making a tender skirt steak is difficult and they pulled it off beautifully. 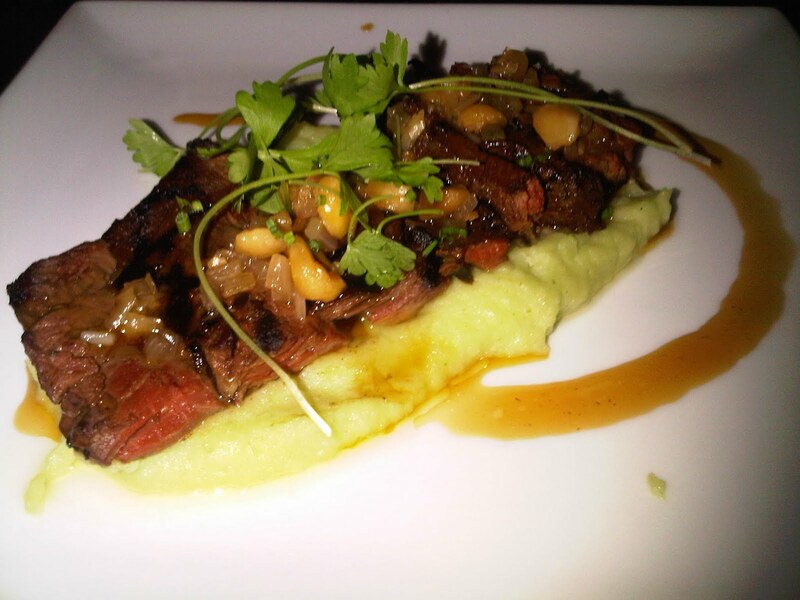 It was served with chili ponzu, hazelnuts on a bed wasabi mashed potato. Megan loved those mashed potatoes. I practically inhaled the steak and was left asking why I got such a small serving of a relatively cheap cut of beef, but I guess being left wanting more was a testament to the its goodness. The service (unlike the food) was shaky to say the least. The hostess thought we had a party of three. We were waiting so long for the waitress to come to our table that a server eventually approached us and asked if 'she' had come yet. 'She' had not, so we placed both our drink and dinner orders with him. We were disappointed that the waitress did not walk us through the menu like we have come to expect from quality restaurants with knowledgeable staff such as Central, Cafe Atlantico and Liberty Tavern. The table next to us was able to receive their entree, eat it and and get their dessert in the time we waited between appetizer and entree. In general we were not 'attended' to like one would expect at a place of this stature. Thou I will give it to the busboy who filled up our waters, he was spot on. Granted it is restaurant week and there are crowds and they may have been understaffed, but its not like restaurant week is a surprise it is on the calendar months in advance. From what I've been reading online we had a typical experience with service, thank goodness the kitchen was in much better shape than the front of the house. The thing about fixed menus is that it gives you that little push to go outside of your comfort zone, so I went with the Panna Cotta with pineapple raspberry ravioli and passion fruit sauce. 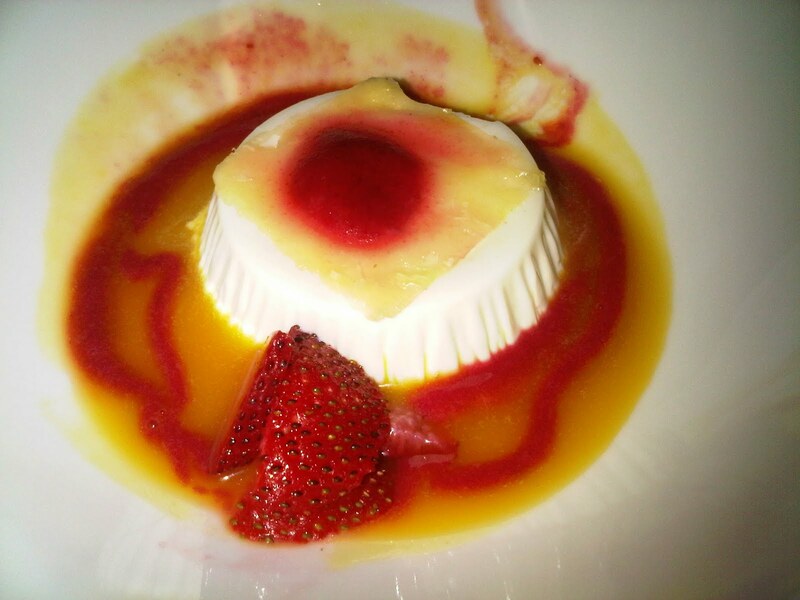 I have never had panna cotta before. I am sure by panna cotta standards it was very good. Megan said it was 'not her bag' and I would agree with that sentiment. The Donovan House has a rooftop bar. Every time TWSF passes the Donovan House in the evening we dream of one day being two of the cool people up on the roof. We took the opportunity to check it out after our meal. If you are into beautiful views of Thomas Circle, an older international crowd, french house music and $8 cans of beer than this is the place for you. We left after our interest in the view and our drinks ran out. Chef Jaime Montes De Oca, you definitely accomplished Zentan's goal of producing quality Asian fusion. You fused great Asian cuisine with poor service and small mistakes. You are not here because of the food, each of the 6 courses by all accounts was very good. But this challenge was about more than just what was on the plate. This challenge encompassed all of the little things that go into creating a memorable dining experience that would entice us back for seconds. There were some pretty amateur mistakes: poor service, the cost savings shortcut 'ex-lax' appetizer, tiny entree portions, and bones in a broken house special. Any one of these transgressions would be enough to send a top chef packing his knives. In my opinion you did not fully meet the objective of this challenge. Based on my experience, I am not sure if would come back to Zentan and pay full price. However the quality of you food has saved you from elimination this round and the other judges at this table are willing to give you a second chance. You live to see another day, lets hope you bring more focus in elimination challenge.